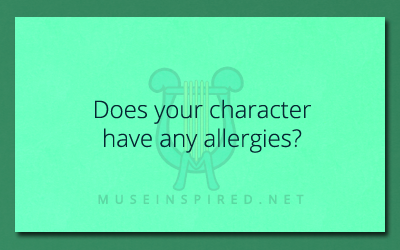 Character Development – Does your character have any allergies? Character Development - What is your character's favorite physical activity? Character Development - What smell might trigger fond memories for your character?